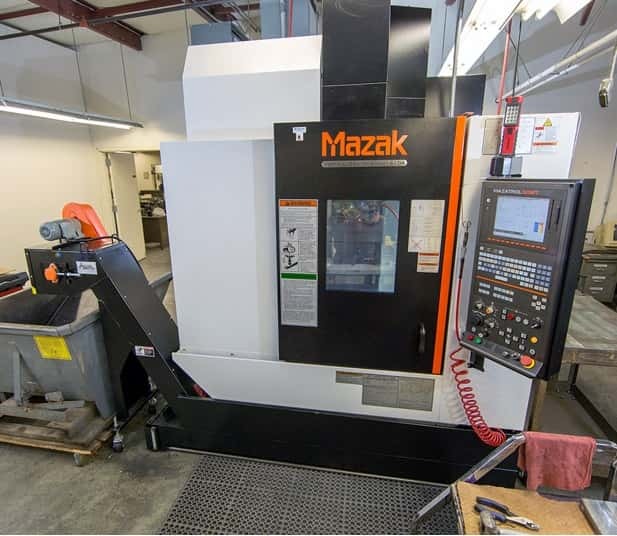 The latest addition to our equipment roster is a new Vertical Machining Center, the Mazak 410A, with Mazatrol Smart Control. This machine has enhanced our ability to produce the high precision parts our customers have come to expect, at much greater volume. This acquisition provides us with a means to rapidly deliver machined parts by significantly increasing our production capacity.